Consider Michael Craig Martin’s “An Oak Tree”. Just a glass of water on a shelf, but we can opt to enter into a kind of deal with the artist whereby we accept that this is not in fact a glass of water on a shelf but an Oak Tree. I look at it and I choose to see an oak tree, perhaps not literally (or “retinally”), but nevertheless I see it. In the same way the hypnotic subject chooses to be in an altered state of consciousness and, if necessary to see that which the operator tells him or her is there. These two things are closer than we might think. The hypnotic subject is not necessarily “seeing” an object because his/her field of vision is presented with some mimetic impression (say, a photograph of an oak tree) but because he/she has chosen to enter into a deal with the operator and translate spoken language directly into experience without the mediation of the senses. 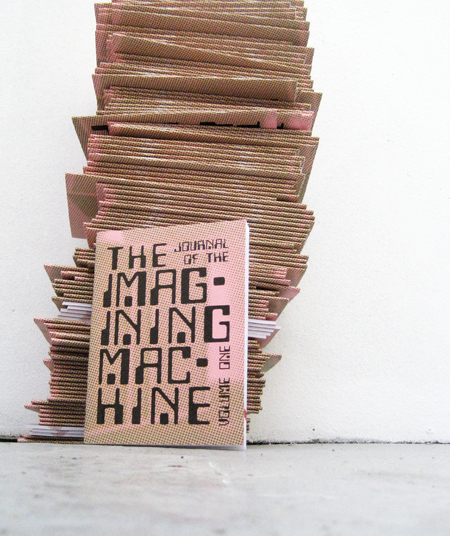 So, we set up a situation in which volunteer subjects, an artist/hypnotist and a carefully-designed environment combine to form the “Imagining Machine” of the title. At its simplest volunteer subjects will be put into a hypnotic trance by the artist then asked to go into another (empty) “gallery” space to visualise (or see*) an object. This they will then describe in detail to the artist. The subjects will be encouraged to explore a wide range of descriptive methods – verbal descriptions, but also drawing, gestures, even simple modelling. 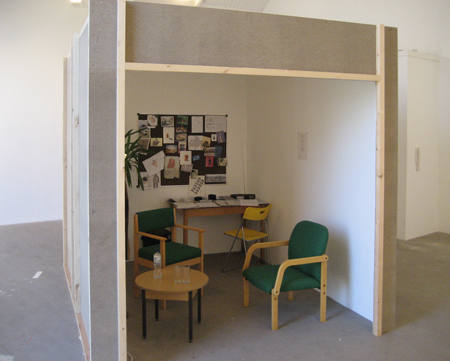 By careful preparation of the visual stimuli in the workspace and through the use of language, a certain amount of cultural information can form an “input” which is then processed by the subject and the artist through their dialogue into a result which is the product of a genuine and unusual collaboration. Attemping the accurate (re)construction, analysis and taxonomy of these “Imagined Objects” will form the next phase of the project. It is arguable that objects connect us to the world – what kind of “us” and what kind of world will be revealed by peoples’ imagined objects? *Subjects’ ability to visualise, or the vividness with which they “see” autonomous objects will vary according to their susceptibility. It is a matter of record that of the approximately 80% of the population who are hypnotizeable, a small percentage are what are sometimes referred to as “virtuosi” who can comply with suggestions to an extreme degree –if the volunteer subjects include even one such the results will be particularly interesting.